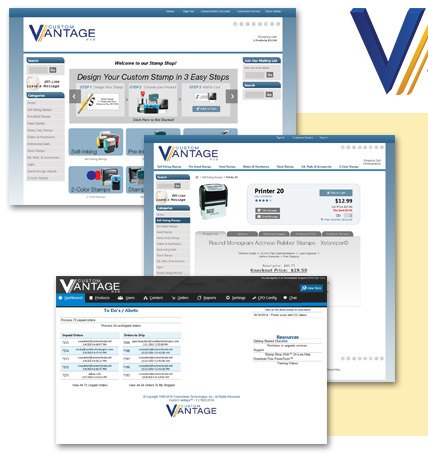 Custom Vantage Web was designed and built for the individual shop looking for a web solution. E-mail at your own domain gives you a professional look. Custom Vantage Web includes up to 15 email accounts, which means a professional look is easy to achieve when communicating with your customers. Custom Vantage Web works with Custom Vatnage Office to import web orders and automatically typset your custom orders into CorelDraw. 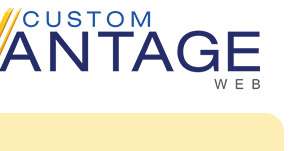 Start selling your custom products online with Custom Vantage Web. This shopping cart website can be managed 100% by you, giving you freedom to sell and maintain your website whenever and however you’d like. We provide technical support fre of charge.